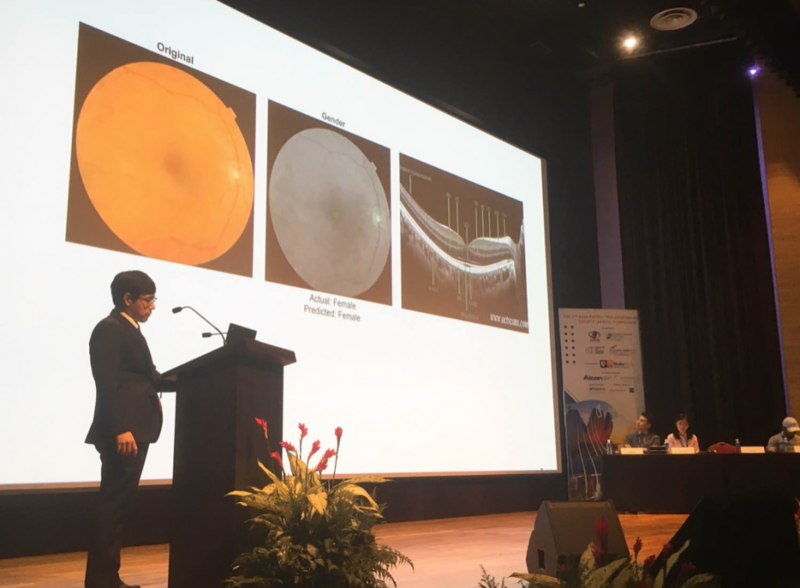 Retinal Damage as the Window to Cardiovascular Organ Damage : Dr. Tyler Hyungtaek Rim – Medi-Whale Inc.
On last July 7th, in APTOS 2018 Singapore, Dr. Rim gave a presentation about his research, “Retinal Damage as the Window to Cardiovascular Organ Damage: Use of Big Data & Machine Learning”. Dr. Rim, one of the co-founders of Medi-Whale Inc., is engaged in Yonsei University College of Medicine as a professor and ophthalmologist in Severance Hospital. As a professional ophthalmologist, he suggested his idea that a retina is a window to investigate the association between microcirculation abnormalities and cardiovascular diseases. However, among the researchers already studying the relationship between cardiovascular diseases and eye vessels, Dr. Rim focused on the question: What is the most important marker in cardiology? He and Medi-Whale Inc. attempted to evaluate the association between retinal image and coronary artery calcium score using deep learning, as it can analyze and catch distinctive features of individual retinal fundus images and heart CT. While processing this research, Dr. Rim used big data from Korea National Health Insurance Service (KNHIS) and stored a huge amount of data to enhance the accuracy of predicting cardiovascular risk factors. Additionally, Dr. Rim mentioned deep convolutional network architectures, which can enhance the learning ability and reduce error rates between official results and research results.